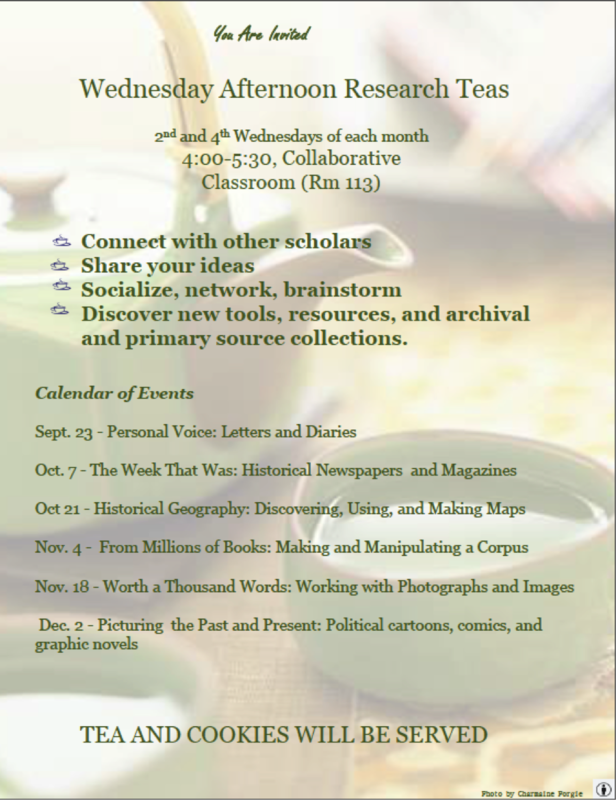 This fall, we are organizing a series called Research Teas that are meant to be open forums for students, both undergraduate and graduate, to discuss their research. Each of the six sessions this semester will have a topic to ground our discussions (see below), but participants are welcome to discuss their own research regardless of that month’s topic. Tea and cookies will be served! We hope that this forum provides an opportunity for students to share ideas about research across disciplines and interests. Sessions will be held from 4 to 5:30pm in the Collaborative Classroom, and you can register by clicking the links below. We hope to see you on Wednesdays this fall!